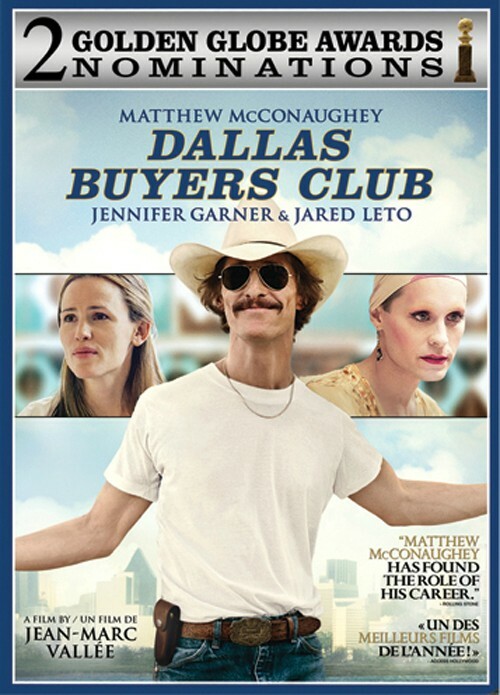 Buy, Rent or Skip Dallas Buyers Club? I find it kind of ironic that Matthew McConaughey's character becomes a hugely successful "business man" only after he gets HIV/AIDS. Sure, it's out of necessity of trying to save his own life, but it's an interesting notion that a man who really hadn't done anything with his life prior to contracting the deadly disease would suddenly be living the "American Dream" when staring death in the face. The true-life story is basically a 'David vs Goliath' plot when he is going up against the Government and the FDA to fight for the right to self-medicate given the fact that the doctors and hospitals are basically nothing more than middle men pushing their OWN drug (AZT) for profit, even with the knowledge that the drug itself is highly toxic and killing off their patients. The movie is good and the performances are exceptional. With that said, this is a very hard film to sit through. It's hard to sit through 2 hours watching people dying. I can easily give this movie 4 Stars out of 5, but it's a movie that I will probably never watch again as it's depressing watching people deteriorating before our very eyes. Worth a Rent just to see the amazing performances by McConaughey and Jared Leto. Both McConaughey and Leto's transformation into their characters is truly remarkable and it's easy to see why they both won Best Actor and Best Supporting actor Oscar's. Just an incredible and astounding performance by both. Also co-stars Jennifer Garner. Yep, count me as one of those who couldn't sit through this. It didn't entertain me in the least. Yeah, I'm pretty sure I can't sit through this. Death is though, it'd take me a lot to check it out.